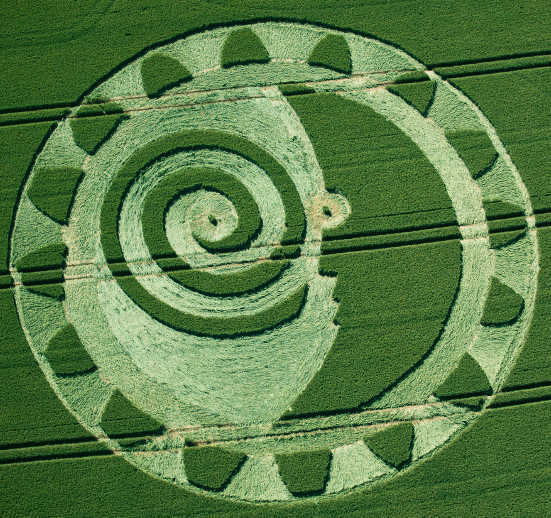 Crop circle with a childlike moon face and a spiral. The integration and transformation of our emotions. integrate and then to transform them.